Phone Bill Casino aim to bring you the best and with its Vegas styled theme, responsive pages and huge choice of games including progressive jackpots, scratch cards, table games and featured slots; Jackpot Paradise offers everything you’ll ever need. What adds to their appeal is the fact that Jackpot Paradise is available on Smart Phone including Android, iPhone or Tablet devices. This means that you can play high quality innovative games when and wherever you like. So move away from the lap top and make those mundane chores such as walking the dog, much more exciting and rewarding. 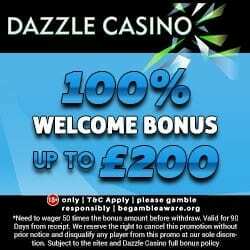 When you register and make your 1st deposit with Jackpot Paradise, you’ll be delighted to discover that you’ll receive a 100% cash match bonus up to £200. This basically means that you’re doubling your money and if you take advantage of the maximum amount, will walk away with a whopping £400. When you make your 2nd and 3rd deposit, you’ll also receive additional cash match bonuses. There’s a 50% cash match up to £300 on the 2nd and 100% cash match up to £300 for the 3rd. Monday Madness – To beat those Monday blues join Jackpot Paradise in their Monday giveaway. All you have to do is deposit every Monday and you’ll receive a 100% cash match bonus. Weekly Bonus Surprise – Every Tuesday Jackpot Paradise surprise their players with great bonuses simply for playing. The more you play the more benefits you will receive, so keep an eye on your account and you never know what you’ll end up with. Game of the Day Race – This is available for all players every Wednesday on two featured games. They will be announced on the Wednesday, one being a mobile game and one a PC game. Each week the three winners will be notified by email and informed about how to collect their bonus. 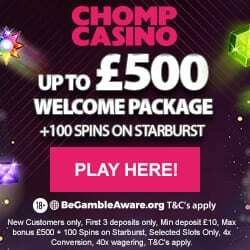 Players must deposit a minimum of £10 to be eligible to play. Insurance Thursdays – Every Thursday when playing a game of your choosing, you can insure yourself against any losses with Jackpot Paradise. 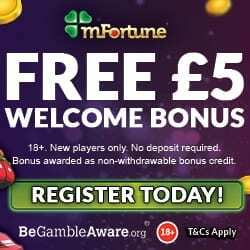 If you deposit a minimum of £50 (this can be done is smaller quantities) and lose, they will give you back 10% as a bonus. Once you’ve become a regular you’ll be invited to their VIP Club which offers a variety of special discounts, promotions, and other valuable benefits. The VIP Club is their way of thanking players and to make sure you get that extra special treatment. They accept the usual banking methods including credit and debit cards, Paysafe Card, Skrill, Neteller, Sofort and Boku pay by phone bill. To claim the incredible 100% cash match bonus on your 1st deposit, simply visit Jackpot Paradise and register in minutes.